A new name was added to the village war memorial in 2011 , that of Ralph Ellis Bowell. 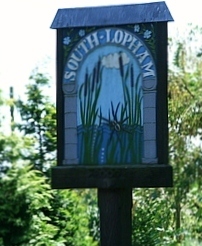 Ralph was born and brought up in South Lopham, the only son of Oliver and Florence Bowell, The Street, South Lopham. Ralph went to school in South Lopham and later worked on a local farm and at some point joined the Territorial Army (4th Battalion Royal Norfolk Regiment) before the war, probably in 1938. The battalion was split into 4 companies based in Norwich, Yarmouth and Harleston. 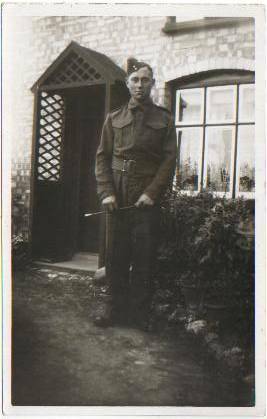 Ralph was a member of C company, commanded by Captain Tom Eaton and he was based in Harleston. The 4th Battalion left Liverpool on 29 October 1941 and eventually disembarked in Singapore on 29th January 1942 and went straight into the fighting. According to the Commonwealth War Graves Commission Ralph was killed on the 12 February just three days before British troops in Singapore surrendered on the 15 February 1942. However, in the battalion’s regimental records he is listed as having died of wounds on 15th February. He is buried in Kranji War Cemetery north of Singapore. Most of his battalion spent the next four years as prisoners of war of the Japanese. According to local information, Ralph’s mother never accepted that her son was dead and for this reason she would not allow his name to be included on the village war memorial. This is certainly the story that Albert Crook relates in his book of war time memories. Largely due to the efforts of a relative Mr Philip Plant, permission was given by the family this year for the inclusion of Ralph’s name on the village war memorial by the parish council in time for the village ceremony of remembrance on Friday 11th November 2011.